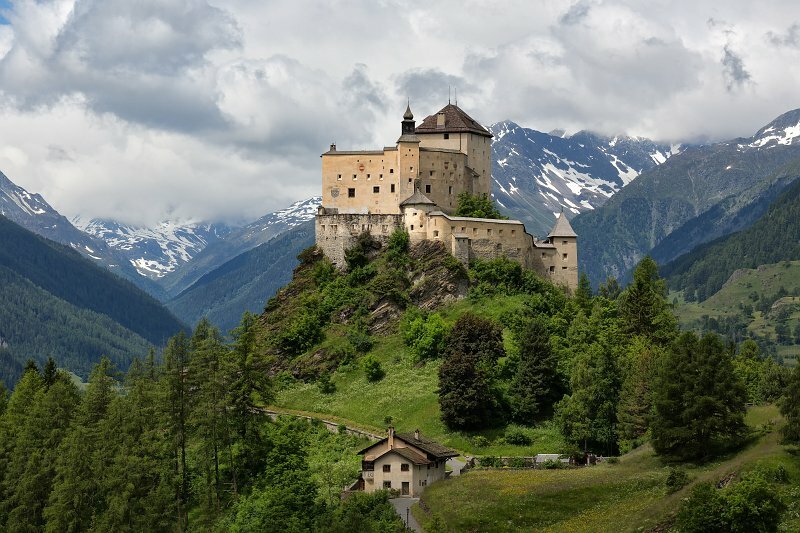 Castle Tarasp, dating back to the 11th century, dominates the eponymous locality in the Upper Engadine. The castle belonged until 1803 to Austria, was laid siege to and fought over several times, but was never captured. In the year 1900, the inventor of the mouthwash Odol, Karl August Lingner, saw the meanwhile empty and decaying castle, bought it and had it completely restored (the restoration project went on until 1916). Since 1919, Castle Tarasp is open to all visitors, who can view knights' halls and ballrooms, old bedrooms, the castle chapel and the organ with its 2,500 pipes.